Back when Carol and I lived here in the ’90s and early oughts, I had a large lot and a 200-foot wire antenna for the low bands. The antenna didn’t work well…because what I didn’t have was a good ground. Now that we’re back in Arizona, I decided to begin with the ground system, and work up from there toward the antennas. The problem with Arizona is that it’s dry. No surprise there; in Spanish, Arizona means “dry zone.” At our house on the far north end of the Phoenix metro area, I simply drove an 8′ ground rod into the soil next to my workshop/shack, and clamped a length of #8 solid copper wire to the rod. I figured it would work. It didn’t. The problem (surprise!) was the dry soil, which left the ground rod practically insulated. It was better than nothing, but it certainly couldn’t touch the grounds I’ve had out east, especially the ground I had in Rochester NY. The difference is that I had a swamp at the back of our lot in Rochester, and a climate that delivered rain probably a third of the year. My ground rod was set in soil so wet it was actually mud most of the time that it wasn’t frozen. Tricky to grow vegetables in (our strawberries did well) but man, my Hy-Gain 18 AVT took me around the world. This time, I did some detailed reading on ground systems, and enlisted the help of Joe Flamini W4BXG, who is a EE and has been licensed longer than I have. I ran the plan past Joe, who approved. This past Saturday, I finished it. Drive the ground rod down into the soil at the center of the bottom of the hole. Put a length of PVC pipe in which you’ve drilled a large number of holes into the hole beside the ground rod. Fill the hole with sodium bentonite clay, moistened with an ionic solution like Epsom salts. Now let’s go through what I did in detail. I had our landscape company bring out an earth auger. I expected something a little smaller, having looked around at tool rental firms. This one had a 12″ auger 48″ long. It took just 15 minutes, and I was glad I didn’t have to control the monster myself. Earth augers are not tidy things. In fact, the hardest single part of the project was using an improvised scoop on a long handle to get the last of the loose dirt out of the bottom of the hole. Nor was the hole completely straight. Still, it was straight enough. I then used steel wool to brighten the copper the full length of the rod. This makes it more conductive, which is the whole idea. Having brought it to a nice bright polish, I took out my five-pound sledge and drove the rod into the center of the hole. I had previously bought a 4′ length of threaded 1/2″ schedule 80 PVC pipe, and drilled holes every inch down the full length of the pipe. Each drill pass cut two holes, giving me two rows of holes on opposite sides of the pipe. I put PVC caps on both ends, and positioned the pipe in the hole with an artfully bent coat hanger. I had done the math on the volume of the hole and the density of bentonite clay, and calculated that I would need four 50-pound bags of bentonite powder. I bought it from a drilling supplies firm on the west side, for $8 a bag. (Bentonite has many uses, and one common use is borehole mud.) Some people mix a bentonite slurry in a wheelbarrow and then tip the slurry into the hole, but I didn’t have a wheelbarrow. What I did is fill the hole by pouring in a layer (3″ or so) of bentonite powder, and then wetting it with water in which I had dissolved ten pounds of Epsom salts. I stirred the goop a little with a metal rod to make sure all the powder got wet. I repeated this layering process until the hole was full. Miraculously, my 200 pounds of bentonite clay powder filled the hole to within 2″ of the rim. Enough, and none left over. (Math works!) Once I filled the hole and wet the top layer down, I forced water into the moistener pipe with a pressure nozzle, taking advantage of Phoenix’s relatively high water pressure. The idea is to make sure that all of the powder becomes mud. A few notes on bentonite powder: It’s as fine as talcum powder, and blew around in Saturday’s unfortunate wind while I poured it. I wore a mask to keep from inhaling it. When wet, it becomes a slippery, slimy-feeling mess that clings to everything it touches. I was very glad I didn’t try to mix a slurry outside the hole. Bentonite gloms onto water, and over time, the clay in the hole will become uniformly damp. I’ll sprinkle the hole with the garden hose periodically, and pour some additional Epsom salts solution into the moistener pipe. I’ve been soaking it each day, not only the bentonite but also the soil around it. Bentonite expands slightly when wet, and will force itself into all the tiny voids in the interface between the soil and the bentonite fill. In my neighborhood we have the advantage (for ground systems at least) of a septic system, which distributes a different sort of ion solution into the soil. I’m expecting far better soil conductivity here than we ever had in our ’90s house. That’s pretty much it. I have no antennas mounted yet, so I can’t test it for the time being. No problem; once I have my feed-throughs in place, I’ll run a length of wire up to one of the palm trees, and see how well my IC-736 loads. Jim Strickland suggested building a simple crystal radio using a germanium diode, of which I have many in the drawer. Crystal sets are very dependent on a good ground, as I discovered in my distant youth. If I can bring in local AM stations well, I’ll consider the ground a success. The ultimate goal is to get a ground-mounted trap vertical, like the 18-AVT or similar. In the meantime, I know how to get a lot out of 75′ of copper wire worked against a good ground. And now, for the first time in a fair number of years, I have a good ground! I literally didn’t know that it was Earth Day until the metal recycler guy thrust a bright green T-shirt in my hands. I had just sold them $77 worth of metal, and on Earth Day they were giving away T-shirts. He invited us to stay for their free Earth Day barbecue, but I had to decline: I was still shoveling. I missed Earth Day mostly because I was shoveling. That morning I had shoveled close to 300 pounds of metal into the back of the Durango. About 30 pounds of that was bronze and copper, and another 100 or so was aluminum. The rest was iron and steel. My scrap metal collection is legendary; why did I let so much of it get away? Easy: I dumped the stuff that wasn’t likely to be useful. Chunks of pure copper don’t machine well. Brass is way better–I wasn’t giving away any brass. The bronze was a sort of special case. Carol’s dad had given me several husky bronze Acme-threaded bearing brackets that once gripped a lead screw from some very large but long-dead surface grinder. Each one was bigger than my fist. I’d been staring at them (and carting them from state to state) since the early 1980s, and never came up with a use for them. In the cause of The Duntemann Ensmallening, I decided to trade them in for something much more useful: cash. Ditto the aluminum, most of which consisted of aluminum grinding wheels from very large but (probably) long-dead surface grinders. The largest were 24″ in diameter and 5/8″ thick. All had once had a coating of fine diamond abrasive on their edges, suitable for the grinding of carbide dies, which was what Carol’s dad did for a living. When the diamond coating got thin at any spot along the edge, the wheel was swapped out for a new one and scrapped. He gave me a lot of them. I did keep a few, and I have used a couple in the last 35 years, especially the smaller, 8″ diameter ones. The rest of the aluminum pile was odd stuff I’d picked up cheap at hamfests in the 42 years I’ve been going to hamfests. As for the steel, well, it consisted of odd and generally rusty chunks that used to be frames for chairs, lamp base weights, a beat-to-hell surface plate, and several 3′ lengths of badly galvanized (and now corroding) 1″ threaded rod that I no longer remember obtaining at all. 1″ threaded rod is stock at Artie’s Ace Hardware in Phoenix, and I don’t have to scrub the rust off of theirs. Out it went. I’m probably due for another Advil. There’s a hard deadline for emptying the garage utterly: On May 4 the jackhammers will show up to take out our crumbling garage slab. Much of what I will be doing between now and then will be shoveling. Tomorrow I’ll shovel a load of ancient computers, computer accessories, dead cordless phones, ratty computer speakers, and cables (RCA / VGA / parallel etc) into the car to take up to Best Buy for recycling. I still have to Craigslist my small workbench and figure out how to con somebody into taking a middling list of dead or limping radio gear, including my Kenwood TS-520S (blew out its balanced modulator) a WWII Navy MAB receiver, condition unknown, and a Heathkit HW-22A that’s immaculate but may or may not work. (I bought it cheap at an estate sale, sans cables.) Most regretted may be my Hammarlund HQ-145X general-coverage receiver, which was my SWL radio in college and later my Novice receiver. It always had a few quirks, and probably has a couple of bad tubes, as it doesn’t bring much in anymore. (I haven’t had it opened up in 30 years or so.) Alas, the Hammarlund is enormous, and does nothing that my IC-736 doesn’t already do, in a third the space. I’ll miss it, I guess. But that’s what an Ensmallening is all about. I’m going to ask $75 for the whole pile and see what happens. I could probably have gotten more for them by selling each item individually, but it would be a bad use of my time, considering all the shoveling that still has to be done. I may try to foist a few things off on my hapless partygoers at our nerd party next Saturday. We still have a Midcentury Modern steel stepstool, decorated with drips of every color known to Sherwin Williams, and a “flying saucer” charcoal grill from the ’50s. Beyond that, what’s left is lumber scraps and useless crap that’s going out on the curb this Wednesday, if I can force myself to keep shoveling. No ifs. Shovel I must, and shovel I will, until the Ensmallening is done. Carol and I were in Costco last week, stocking up on consumables (everything from toilet paper to Hoody’s Peanuts) when we spotted something that made me do a double-take: a package of four Feit LED dimmable 60W equivalent light bulbs for $10. I’ve never seen them for less than twice that. We grabbed a pack to try at home, because our new house here contains a lot of 60W bulbs. How much of a lot? There are nine Hampton Bay ceiling fan/lamp fixtures, each holding three 60W bulbs. (We found later that the fixture over the dining room table had three 75s in it.) That’s 27 bulbs right there, plus another twelve or fifteen in bathrooms and outside light fixtures. Figuring 40 60W bulbs, that’s 2,400 watts. Granted, not all of them are on at once, and several fixtures (like the one in the guest room and the two outside on the patio) are rarely on at all. However, there are another eighteen 65W ceiling floods, so I’m guessing our typical evening use is about 2,500 watts overall. It adds up. If bulbs are now as cheap as Costco was offering them, I was ready to jump. A sidenote: There was some sort of utility company instant rebate, so the register price was about 1/3 less than the package price. Outside the Phoenix area, your prices may (and almost certainly will) vary. This being Arizona, there was a thick layer of brown dust (over and above the dead bugs) on the lamp globes and on the existing bulbs themselves. We ran three loads of lamp globes through the dishwasher because their spatter finish tears threads off the ScotchBrite pad by the sink. I put three bulbs in the fixture in Carol’s office, then stood back to gauge the quality of the light. Marvelous! Three $2.50 LED bulbs gave brighter and slightly whiter light for a total power draw of 28.5 watts. We went back to Costco and bought 24 more, plus a test pack of 65W equivalent LED ceiling floods. I spent a day on a ladder swapping out bulbs, and although the ceiling floods aren’t all done yet, we’re looking to cut our lighting power draw to 1/6 of what it would be on incandescents. This isn’t all about money. It gets hot in Phoenix in the summer (duhh!) and the heat that you pay for when you light your bulbs you then have to pay to pump out of your house with the AC. Ok, so maybe it is all about money. In some respects, LED bulbs are a twofer. Now, there’s a downside. Both CFL and LED bulbs require power at entirely different voltages than incandescent lamps. Every bulb has a little power supply in it, and to keep the power supply circuitry small, the supply uses a technology that generates a lot of RF noise. If the whole house is running LED bulbs, I’m guessing that my IC736 will deliver audio that sounds like the center of a raging thunderstorm, only 24/7. I don’t have my shack wired up yet, but it’ll be interesting to see what happens when I run a temporary longwire out to the pool shed later this year. Now, it won’t happen this year and perhaps not next year, but the 5-year plan includes a new building in the NW corner of our 5/8 acre lot to house my workshop and radio shack. (I’m using the small garage for now, and although I was clever and got everything in, it’s…cramped.) I’m sure I’ll hear our LED bulb symphony (and perhaps the neighbors’) but if I don’t use LEDs or CFLs in the shack, things may be a lot better. So…what are the chances of opening up the bulbs, pulling out or bypassing the power supplies, and running them at the LEDs’ native voltage? This isn’t an idea original with me, and in fact one chap has a very nice article up on Instructables. The 40W bulb he dissected delivers 30VDC to its LED array, and he had to do some major surgery to rewire the array to take 12VDC instead. My approach would be to figure out what DC voltage a given type of bulb generates for its LEDs, and then build a high-current passive (i.e., non-switching) power supply to deliver exactly that voltage to all the modded bulbs in the building. (Note that there’s nothing magical or standard about his 30V figure. That’s just what the maufacturer happened to use in that particular model of bulb.) This would require running a separate 30VDC (or whatever) power network inside the workshop building, but since it’s going to be a custom building, I can do that. We’re not nearly done with the house and landscaping here yet, and I won’t have a great deal of loose time until the summer. (We still have work to do on our Colorado house before we sell it.) I’ll start a research binder on LED bulbs in the meantime, and maybe allow myself a few hours at some point to pull a cheap bulb apart to see what its LEDs are eating. If any of you have played around with LED bulb internals, (or have come across any pertinent links) by all means share in the comments. I have a hunch that a lot of very clever guys are pondering this problem right now, and I’m looking forward to hacking the hardware myself. I haven’t done much building in the last couple of years for various reasons, and damn, I miss it! Lazarus 1.6 has been released. It was built with FreePascal 3.0.0, a first for Lazarus. Mostly incremental changes, but there’s a new rev of the docked form editor that looks promising, even though it’s not quite stable yet. Wish I had more time to play with it! Older versions of Lazarus have run well on the Raspberry Pi for me. However, installation on the newer Raspberry Pi 2 is much trickier. This installation tutorial is almost a year old, and I haven’t yet installed Lazarus 1.4 or 1.6 on my Pi 2, but it’s the best how-to I’ve yet seen. 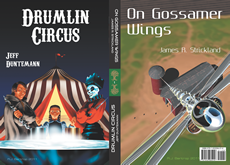 From Glenn Reynolds: Indie author Chris Nuttall lays out his journey as an indie, emphasizing that all but the biggest names are being driven to indie by publishers who simply don’t understand which way the wind is blowing. Read The Whole Thing, as Glenn says. Back when I reviewed the Baofeng handhelds, there was some discussion in the comments about the RDA-1846S SDR chip. Gary Frerking pointed me to the HamShield project on Kickstarter, which is an Arduino add-on board (a shield, in their jargon) that uses the RDA-1846S to transceive on 2M, 220 MHz, and 450 MHz. Like the Baofeng radios, HamShield will also operate on FRS, MURS, and GMRS, though the group doesn’t say that explicitly. (This is an SDR, after all.) It’s not shipping yet, but they’ve raised a fair amount of money (well over $100,000) and appear to be making progress. Definitely one to watch. Cool radio stuff is in the wind these days. One of Esther Schindler’s Facebook posts led me to Beartooth, which is an SDR roughly similar to HamShield built into a smartphone battery case that snaps onto the back of your phone. Unlike HamShield, beartooth is going for FCC type acceptance and will operate on MURS. However, there’s been no activity on their Web site since mid-December and I wonder if they’re still in business. It’s not an easy hack; see this discussion from midlate 2014. Oh, and I remembered GoTenna, which is similar to Beartooth except that it’s limited to texts and geolocation data. (That is, no voice.) It’s a Bluetooth-powered stick that hangs on your belt and uses your smartphone as a UI, basically, and allows you to text your hiking buddies while you’re out beyond the range of cell networks. I guess that makes it a sort of HT…a Hikey-Textie. Unlike HamShield and Beartooth, GoTenna is shipping and you can get two for $300. Twitter continues to kill itself slowly by shadowbanning users for political reasons. What the hell is in it for them? When they collapse, something else will appear to take their place. They’re a tool. (Take it any or every way you want.) When a tool breaks, I get another tool, and generally a better one. I stumbled on something called Roblox, which is evidently a high(er) res take on the Minecraft concept. It’s looking more and more like what I was thinking about when I wrote my “RAD Mars” piece for the last issue of Visual Developer Magazine in late 1999. Anybody here use it? Any reactions? Slowly but steadily, reviews are coming in on my Kindle ebooks. Here’s one that I particularly liked. I don’t care how many tablets and smartphones you have. Paper is not dead. Adafruit has a nice benchmark page for the Raspberry Pi 2, which also provides detailed descriptions of the differences between the new board and the older boards. What’s going on in the Martian atmosphere? Here’s a nice collection of homebrew radio projects from Jim McNutt WA6OTP, with pictures and schematics. Fine work! An interesting short introduction to the geophysical differences between Earth’s north pole annd south pole. More crazy weapons, including but hardly limited to the Panjundrum. I’ve always liked the Triebflugel, which was a great idea until you had to land it, kind of like the XF-85 Goblin. That’s not a monkey on that marathon runner’s back. It’s a tomato-dispenser robot. I guess we’re in somebody’s vision of the future. It certainly isn’t mine. I bought my first ham radio handheld (“handied-talkie” or HT) back in 1977. The Standard Radio SR-C146 had five crystal-controlled channels and weighed two pounds. (No wonder they called it a “brick.”) No TT pad, no CTCSS. I don’t recall what I paid for it new, but I’m thinking $350–and that didn’t even include a charger. (I built a charger for it from scratch!) That would be about $1400 today. It was a really big deal, and I used it for almost ten years, until I bought an Icom HT at Dayton in 1986. In truth, I never used HTs all that much except at hamfests. I’ve had 2M mobiles in various cars, and for the past 18 years or so have used an Alinco mobile rig as a base. I still have the Icom in a box somewhere, but the case is cracked and it’s been in the corner of my mind to get a new HT for almost ten years. Then Bob Fegert mentioned the Baofeng dual-band UV-82 HT, which now sells on Amazon for $37 brand new. (I actually paid $35.) In 1977 dollars, that would have been…ten bucks. So I ordered one. While cruising the Web looking at reviews and commentary on the unit, I happened upon the Baofeng BF-888S. Amazon had those for $15. $3.85 in 1977 funds. So I bought one of those as well, just to see what a $15 HT could do. Both radios put out 1W or 4W selectable. The UV-82 covers the 2M and 70cm bands. The BF-888S covers only the 70cm band. Well, actually not only the ham bands, which is an issue worth a little discussion here. Many commenters on the ham boards loathe these radios, for a simple reason: They claim the ham radio positioning is only a ruse, to get around FCC type acceptance. The problem is that for use on the several business bands, the Family Radio Service (FRS), the General Mobile Radio Service (GMRS) and the Multi-Use Radio Service (MURS), a transceiver must meet certain FCC requirements and pass tests to ensure that it meets those requirements. This is called type acceptance. A type-accepted radio will transmit only where its type acceptance allows. There are other requirements that aren’t about frequency. FRS radios, for example, may not have removable antennas. Ham radio gear, on the other hand, does not require FCC type acceptance at all. These are software-defined radios. Within a broad band of frequencies dictated by the output power amp, they can receive or transmit anywhere you want them to. A free program called CHIRP allows you to create a special-purpose database of frequencies and other settings, save it as a file, and then squirt it into the radio through a USB cable. It’s nominally illegal to use a radio like the BF-888S on FRS or GMRS, but a quick Web scan shows that it’s evidently done quite a bit. The type acceptance process takes time and money, so a radio pitched for amateur use can cost less. As 2M and 70cm radios, they’re pretty good. I can hit all the repeaters I usually reach from here, just using the “rubber duckie” antennas. Audio is clean and strong. The UV-82 has a better receiver: Weak local signals will break squelch on the UV-82 when they won’t budge the BF-888S. The chargers are flimsy and almost weightless. I’m not sanguine about how long they’ll last, and they certainly aren’t physically stable. Nor are the chargers or charge voltages the same for the two radios. The antenna connectors are SMAs. I had to order some SMT-UHF adapters so that I could use my discone antenna up in the attic. Both radios “speak” a channel number when you move up or down the channel set. With the BF-888S this is the only reliable way to know where you’re sitting, as the numbers on the channel select knob are almost invisible. Although it would be very useful, I don’t think it’s possible to control (rather than simply program) either radio through the USB cable. Both radios have white LED flashlights built-in, for what it’s worth. So. I’m sure a Yaesu or an Icom HT would be better in a great many ways. However, Icom HTs don’t cost $35. Given how little I use HTs, the price was irresistable. How well they will serve over time is an open question. They seem rugged enough to withstand a certain amount of outdoor rough-and-tumble. If they break (or if anything weird happens) I’ll certainly tell you here. While everybody else yesterday was running around looking for foot bras and the world’s smallest volcano (more on which in the next Odd Lots) I was tidying up my shop/shack, and pulled down my AN/GRC-109 Special Forces radio system. I’ve had it since the mid-1990s, but hadn’t fired it up literally since we left Arizona in 2003. I don’t have the full list of accessories so I had to do a little lashing-up to get the R-1004 receiver connected. It didn’t disappoint me. I have the CW-only T-784 transmitter as well. I don’t use it because I’ve largely lost my CW chops and the only guys still pounding brass are whistling along at 20+ WPM. Not having an antenna that won’t set off my security system is the other issue. (Shielding the heat sensor it triggers it is not an option due to insurance regs.) My outdoor dipole will go up as soon as we have a few leaves on the tress, whenever that actually happens. So. 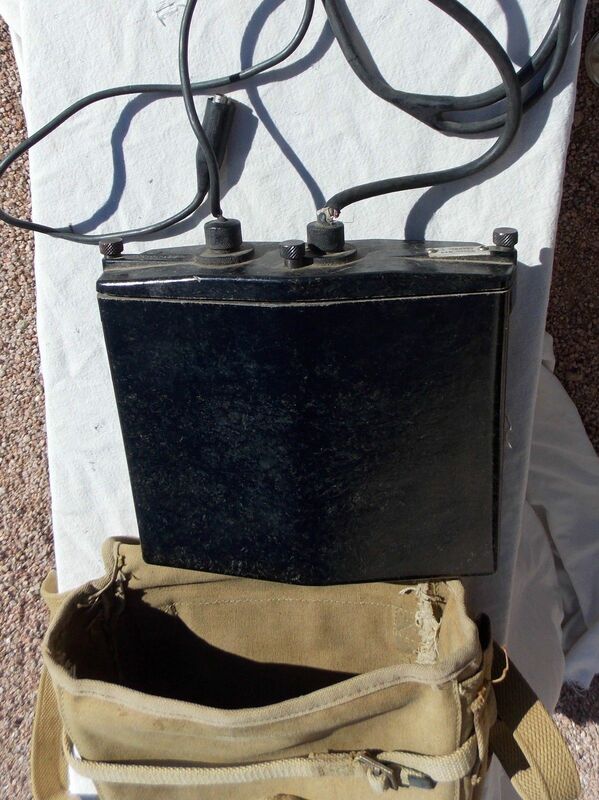 What we have here is a vintage all-tube spy radio, where the spies either have stealth jeeps or very strong backs. The design came out of the CIA in the late 1940s, and was adapted for more general use in the 1950s. It was used until the end of the Vietnam War. The receiver weighs 8.75 pounds all by itself. The PP-2684 power supply will weigh you down another 25 pounds or so. (There’s a lighter, smaller power supply, the PP-2685, that I don’t have.) The receiver uses conventional 7-pin miniature battery-filament tubes in a fairly simple superhet circuit. The only glitch there is the 1L6 converter tube, which is hard to find and costs a small fortune when you find it. The 1L6 is scarce enough so that people have designed solid-state replacements for it. The R-1004 tunes from 3 MHz to 24 MHz in three bands. Selectivity is good, hardly single-signal but a reasonable compromise for a set designed to receive both AM and CW. I had to grin at how spoiled I’ve gotten by modern digital rigs like my IC-736, which can tell you to a single cycle where you are. The dial is pretty accurate, reading bang-on for WWV at 5 and 10 MHz, but it’s a wide dial, and lacks a vernier. Sensitivity seems lower on the 12-24 MHz band. No matter; in the evenings all the action is at 12 MHz and down. SSB was still pretty exotic when the R1004 was designed, and yet its BFO is solid enough that I didn’t have to “chase” sideband signals on 40 and 75 meters with either the tuner or the BFO knob. AM quality was good, considering that it has caps to roll off audio response past 3 KHz. I tuned the entire range from 12 MHz down to 3, stopping at the ham bands or anything else unusual. I used to do that a lot before I was licensed as WN9MQY in 1973. I was hoping to find a numbers station (are there still numbers stations?) or one of those long-extinct semi-musical beacons that I used to hear in 1965. SWBC hasn’t really changed much since 1970: Christian stations, national stations, some German and French, and a lot of things too far down in the noise to quite make out. Canadian time station CHU is no longer on 7335 KHz, but a quick Google check pointed me to its new location at 7850 KHz. I listened to an AM net on 7290, and was startled when K5MIL’s big signal came up and forced me to turn down the gain–he’s only 5 miles north of me, and running a fair bit of power. Talk about old times, whew. My R-1004 hasn’t seen much hard use; I’d almost call it pristine. Serial number 25. By contrast, the power supply has been around the block–or maybe the world–a few times, and when I bought it I had to do some fussy needle-file work to get the corrosion off the power connectors. It sounds goofy, but I love how this gear smells: bakelite and black rubber, with undercurrents of oil and perhaps solder flux. (Radio terroir!) If ever there were a canonical Dieselpunk radio, well, here it is. My only gripe is that my high-Z “cans” headset gave me a headache after squeezing my ears for an hour, and I really need to lash up an audio transformer to take the R-1004’s 4000 ohm output impedence down to whatever my cushy padded headset likes. I’ve done this before, but alas, the adapter unit (built into a 70s contacts case I got from Carol) is hiding somewhere. No matter. You’ve seen my shop and my collection; it will be done. When we can manage a nerd party here sometime this summer, I’ll put it out on the deck and drop a wire over the edge if I haven’t done so already. Put the black thing up against your ear, young’un: That’s what the Internet was when I was mowing the lawn and not chasing you off of it!